We use Rechargeable Collars and service Invisible Fence® , Pet Stop™, Dog Guard™, Dog Watch™, Contain-A-Pet™, Innotek®, PetSafe® and All Others. Do you have an unfenced property? Have an existing fence that your dog is jumping over or digging out of? Technology has allowed us to develop a system over the years that is GUARANTEED to keep your dog safely in your yard, all thanks to our pet fence. Freedom and Safety for your dog, Peace of Mind for you! 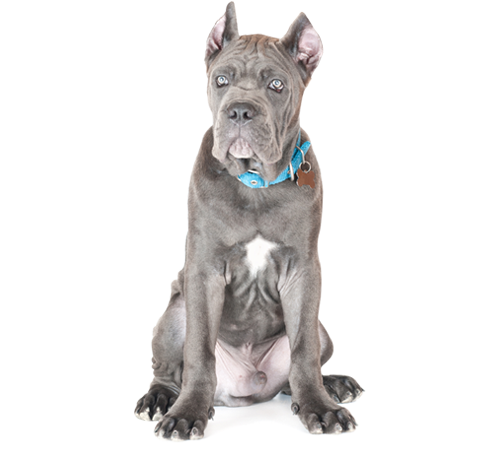 – giving you the safest, most secure and most customizable options available to protect your dog from harm. Our electric dog fence allows your pet to enjoy the freedom of your yard without the worry of them running away or getting into trouble – all in a Safe, Vet Approved solution. An audible tone and adjustable static correction from your pet’s collar will not hurt him or her. Our electronic pet fence creates a hidden fence boundary in any size yard – big or small – that your dog is trained to stay within. Keep the great outdoors truly great for your dog or cat – no matter what the size of your property. Charge the collar when you see the light and you won’t ever have to worry about your pet running running away due to battery failure. You’ll never have to guess when to change the battery – or purchase an expensive battery you don’t need. Keeping your pet safe is what it’s all about, right? We stand behind our hidden fences. If the system fails to contain your pet anytime during the first year, we will assist you with adjustments or retraining at no charge. If these attempts fail – we will remove the system and give you a full refund – that even includes the installation charge. It doesn’t matter how, why, or who broke the wire – we will fix it one time during the first year of ownership. 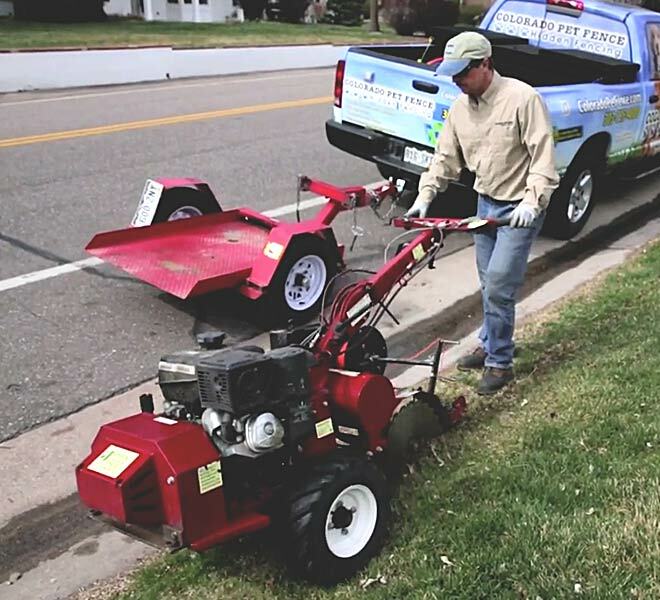 In case you were wondering, if you EVER break or damage the wire with a lawnmower, weed-eater or edger, we will repair it at no-charge. That’s because our professional electronic fence installers know what they are doing. If your lightning protector is ever damaged by a lightning strike, we will replace it at no charge. Yep, the components of our hidden fences are made to last. Above and beyond the one-year that all our manufacturers offer, we supplement that with a equipment lifetime warranty for most of the systems that we sell. Regardless of the manufacturer, everything you buy from Colorado Pet Fence will have a 1-year complete replacement guarantee. There’s no question that this is the best electric dog fence you can own. Plus, we have the best guarantees in the pet fence business. What is the average time needed to train my dog? The training time varies with each dog and trainer. On average, our safe and gentle training program takes about 10 minutes two to three times a day for 2 weeks to train your dog. Some dogs learn within just a few days. The technology in the electronic fence system is built right into the smart receiver/collar and the smart transmitter. With our hands-on training, most pets learn to stay within the fence in a matter of days. In the Smart Zone, the system can be programmed for a variety of settings including the warning time and how the correction is initiated. We determine with you exactly where the smart zones are located. 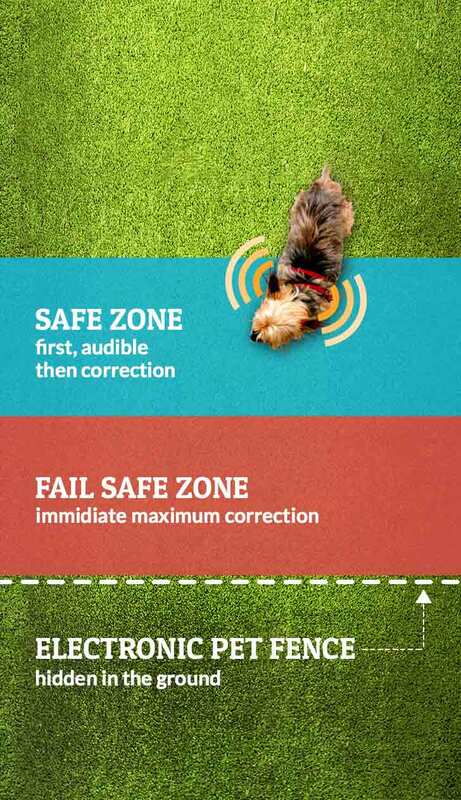 If your pet tries to run away or chase after a squirrel outside of the underground fence, the Fail Safe Zone instantly activates a correction at the highest pre-programmed level to ensure your pet – no matter what breed or temperament – stays safe in the yard. Carefully buried under the ground with our one-year no cut guarantee, the signal from the wire communicates directly with your dog’s electronic collar. Naturally, we wonder if there’s any harm to your dog, right? No worry, your dog will not be bothered at all. Our electric pet fence is completely safe and effective. It’s the perfect solution to keep your dog on your property without the need for an expensive fence or wall. 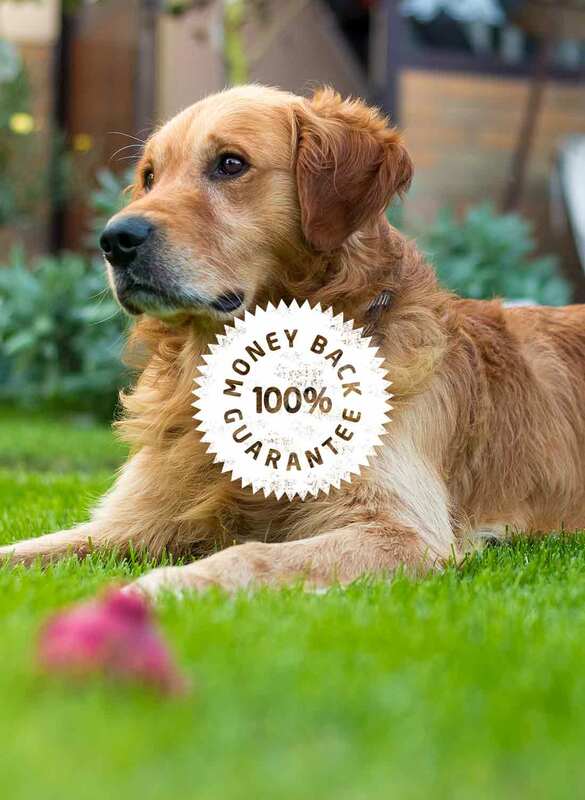 Dog owners can relax knowing their pet is safe in the yard and we back it with a 100% Money-Back Guarantee. For more than 10 years, Colorado Pet Fence customers have enjoyed a better life with their pets because of our customer service, unlimited training, risk-free promise, and expert installation. Your dog or cat will look stylish with our Lupine® collars. 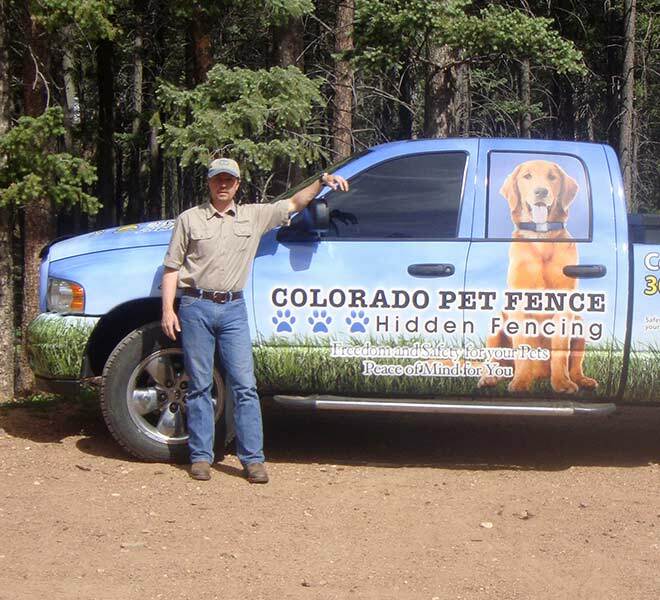 For over 10 years, Dale Huskey has been the owner and lead installer & trainer for Colorado Pet Fence. Dale prides himself on his superb customer service and technical expertise. On top of that, he is a skilled dog handler and will treat your best friend like his own. 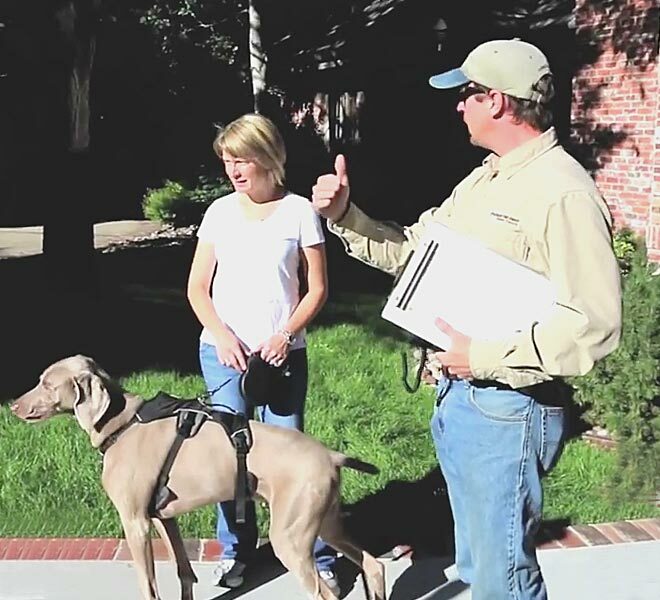 Thousands of pet owners have trusted Dale with the safety & well-being of their pets. You can, too. We carry, install and service the best, safest, and most affordable hidden pet fence systems available.